German manufacturer Govecs is not very well known yet, nor is Cooltra, a Spanish company. The first builds electric scooters, and the second rents scooters all around Spain. The two companies were bound to meet sometimes, and they did. But the result of theirs meetings beats all expectations. 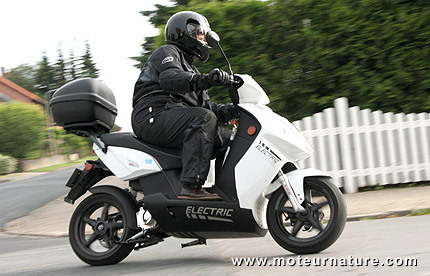 I believe this is the largest sale of electric two-wheelers Europe has ever seen. Cooltra has ordered one thousand Govecs Go S 3.4 electric scooters. The Govecs Go S 3.4 has already received several awards. It has a 50 mph top speed and a 35 miles range. This is good performance for a scooter. People will not venture out of the city with one. For city commuting in Spain’s clement weather, the electric scooter is a good match. The only question was to find a good one, as there are some cheap Chinese imports that are really low quality. But we now guess that the Govecs Go S 3.4 is great, if a rental company has bought that many. Cooltra has 25 agencies in Spain, it could soon expand its activities in Italy.